WASHINGTON, D.C. – The U.S. Consumer Product Safety Commission, in cooperation with the manufacturer named below, today announced voluntary recalls of the following consumer product. Consumers should stop using recalled products immediately unless otherwise instructed. Manufacturer: HIS International, of New York, NY. Hazard: The paint on the buttons contains excessive lead levels, posing a lead poisoning hazard to young children. 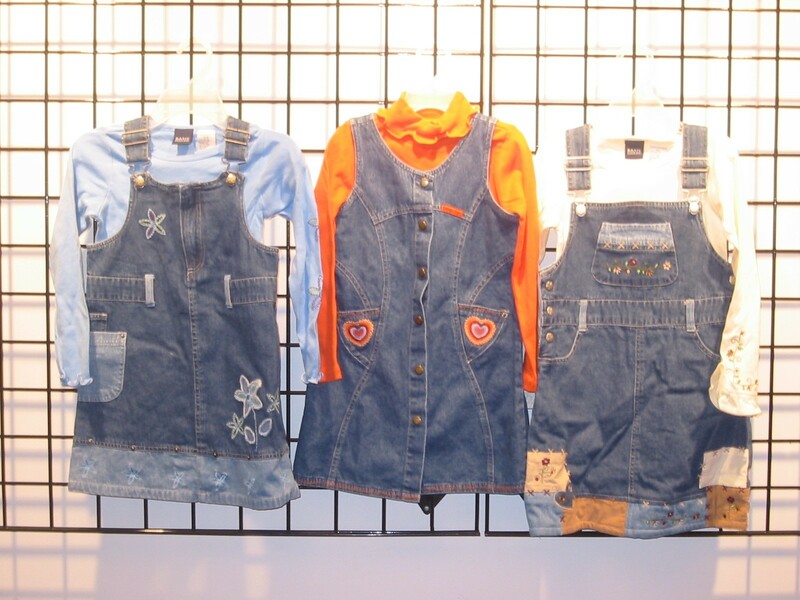 Description: The recalled denim jumper sets are made of 100 percent cotton and were sold in three different styles. Style number 2814X is a long sleeve bodysuit with a flower appliqué jumper. Style number 2817X is a striped turtleneck with a heart pocket jumper and Style number 2818X is a long sleeve bodysuit with a patchwork jumper. Sold at: Exclusively at Kmart Stores nationwide from July 2004 to November 2004 for about $13. Remedy: Consumers should immediately take the denim jumper away from children and return to Kmart for a refund or replacement. Consumer Contact: Consumers should contact HIS International toll free at (888) 467-3990 between 9 a.m. and 5 p.m. ET Monday through Friday or visit their Web site at www.nokidding-HIS.com for additional information.